Posted January 13, 2015 by Dale Cowan & filed under Episodes. Last week’s Season 2 opener set the bar so high for Broadchurch that there was always a risk that this next episode wouldn’t measure up. Luckily, a strong balance of the two main stories and some explosive developments maintain the pace and dramatic tone. David Tennant and Olivia Colman continue their dynamic chemistry, but it’s to the episode’s credit that it throws other characters into the mix. 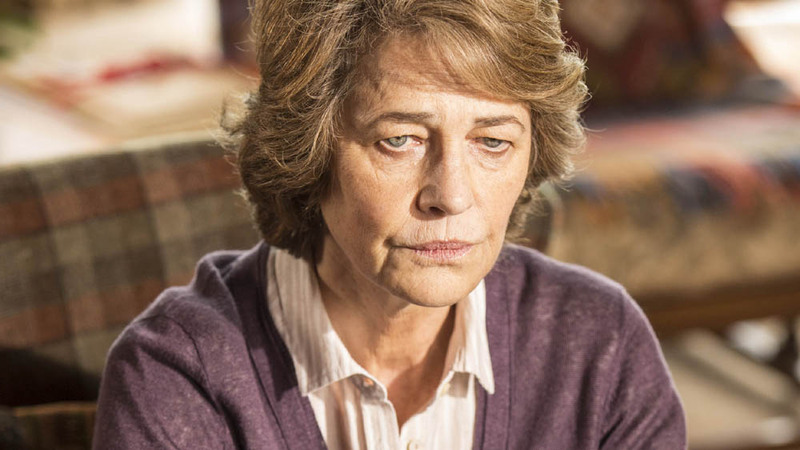 Charlotte Rampling is amazingly charismatic here, giving an effortless, yet commanding performance. Meanwhile, James D’Arcy and Eve Myles again prove themselves as worthy additions to the cast. D’Arcy (Hitchcock, Secret Diary of a Call Girl) as Lee Hayworth, has a strong, brooding presence that works well in his macho posturing with Tennant’s DI Hardy. Torchwood‘s Myles has decidedly more to do here as Claire, particularly in her heart to heart with Colman’s Ellie. It’s lovely that the Sandbrook case is being explored in bit more detail. Though we don’t know too much as yet, the drip-feed of backstory here is brilliant to watch, particularly in Myles’ performance. Kudos must go to Jodie Whittaker as grieving mother Beth Latimer. We feel for her as we learn that her mother has passed away since the events of the last nine months. We see her feelings of blame as she stands in court, stating that she wished she’d been a better parent. We also see her anger as she confronts Ellie, claiming that by beating Joe up, Ellie was knowingly working to create a defense strategy for her husband. It’s a layered, powerhouse performance by Whittaker that stands out in the ensemble drama. Writer Chris Chibnall proves his long term plan with Broadchurch, as elements from the first season re-emerge and take on new relevance here: Hardy confronting Joe Miller alone when getting the initial confession, Ellie beating up Joe and even Becca Fisher’s affair with Mark Latimer rearing its head. Plenty remains unexplained though, particularly the relevance of the bluebells that keep reappearing. The episode’s most shocking key development though, much like Joe Miller’s Not Guilty plea last week, is that Joe’s original confession has been removed as evidence. Whilst this adds a dramatic tension and weight to the court proceedings, there is a concern that this will make viewing Broadchurch too exhausting. After all, how much can one family go through? That brings us to those last few, but incredibly tense minutes: Ellie’s vocal confrontation with Beth, whose waters break as a result, and the apparent kidnapping of Claire by Lee Ashworth. The episode does a fine job of balancing the ongoing Joe Miller trial and the continued development of the Sandbrook case, providing many dramatic moments which I’m sure will pay off even further in the coming weeks. We appear to only be scratching the surface of the secrets in Broadchurch. Aired at 9pm on Monday 12 January 2015 on ITV. > Order Season 2 on DVD on Amazon. > Follow Dale Cowan on Twitter. Sorry, did you actually watch this? Go online on any paper to read the audience comments, read The Independent, Metro or Daily Mail. The pretty well unanimous view was that this episode was absolute pants and the show is now unwatchable. The David Tennant story line is beyond stupid and painful to watch. I was willing to give it another go but will now watch this further. It’s pretty clear too that we’ll find out that Tom killed Danny and Joe covered up for him – talk about giving away the plot. Chris Chibnall should not have gotten so greedy. By creating this bloated, ridiculous pile of utter sh**e, he has not only ruined a lot of people’s anticipation about the new season, but spat on the original show at the same time. David Tennant is obviously only in it as he must have demanded to have a ‘big dramatic storyline’ to make up for the poor way his character was written in the original, he is just awful so far, Olivia Colman is trying to act her way out of the clichéd dialogue but even she is struggling and just seems embarrassed in any scene she is forced to do with Tennant, Eve Myles is way too good for this rubbish and James D’Arcy and the other big names like Charlotte Rampling and Marianne Jean-Baptiste must be regretting signing up to this. The shark is so well and truly jumped and it is not surprising that there has been such a huge drop in viewers this week. Awful, awful, awful. I was so looking forward to this and it has turned out to be so very very very very badly done. Shame on everyone. (Olivia – still love you and now I know why you have looked so embarrassed when talking about this show in a couple of recent interviews – you must have realised part of the way through how very bad it is). Both David and Olivia were really ‘off’ last night on Norton. Hardly had anything to say and there wasn’t any big promotion for Broadchurch which is why they were on in the first place. Don’t think David said more than a couple of sentences all night. Really strange. Ridiculous. As this show gets more and more appallingly bad, it seems to diminish the legacy of the original further. All of the actors should be ashamed of themselves for appearing in this rubbish. The first series of this show was brilliant, but the second series doesn’t disappoint at all! The story is more gripping than ever, a lot of actions of the series 1 now are showed to have consequences, that’s so rarely done in tv shows. Looking forward to see where this is going! PS: UH56 and Herbivore, I’m sorry, but we haven’t watched the same show. 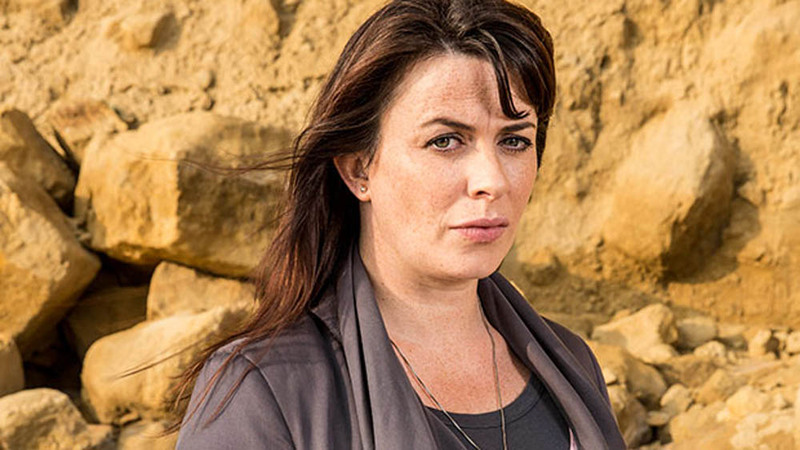 Broadchurch is still brilliant and the second series has big chances to be even better than the first one! If you don’t like it, don’t watch it. You have very low standards in entertainment. Really sad this has jumped the shark. There is so little decent television on that I had hoped this would be good. Silent Witness is just as bad. It’s a long time to wait for Happy Valley 2. Big hopes for Fortitude (Chris Eccleston is one former Doctor Who star who never disappoints. Poor David Tennant is not only hard to understand with his mumbling but his plot line is completely bonkers and he is playing it in a completely OTT way) and Wolf Hall. Not watching this next week which is sad as I really loved the first series and the more I watch, the more it diminishes the original. Well, well, looks like BBC’s old warhouse Silent Witness not only gave Broadchurch a bloody nose last week on the night of transmission but is actually going to outrate it based on the view on demand audience over the following days. It’s already slightly ahead as many more people who watched Broadchurch VCR’d Silent Witness to watch later than vice versa. Should be interesting on this Monday if the hundreds who wrote in to complain and insist they will no longer bother with Broadchurch like those below do actually switch off. It certainly looks like Silent Witness is on track to outrate Broadchurch on the night now as well as beating it in the consolidated ratings. Amazing stuff considering the hype and the amount ITV have spent on promotion. Silent Witness is no great shakes drama-wise but it doesn’t market itself to be anything other than good solid entertainment, it has a competent cast and the pace rattles along without any self indulgence. I noticed Colman and particularly Tennant were very subdued on the Graham Norton show last night and didn’t seem that enthusiastic in pushing Broadchurch. It really feels that they know the show is beyond saving even two episodes in but hats off to them for still doing their duty in publicising it even if it is all a little awkward and embarrasing for them. I gave it two episodes, I’m done. Awful.